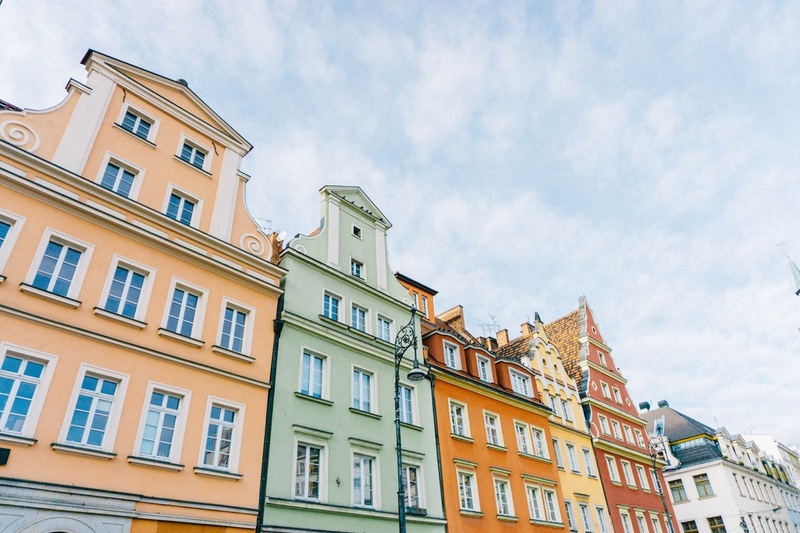 Unfortunately, I didn't have as much time as I would have liked to explore Wrocław, but I enjoyed spending lazy mornings wandering around its photogenic, brightly coloured streets drinking more coffee than I should have whilst enjoying the city's atmosphere. 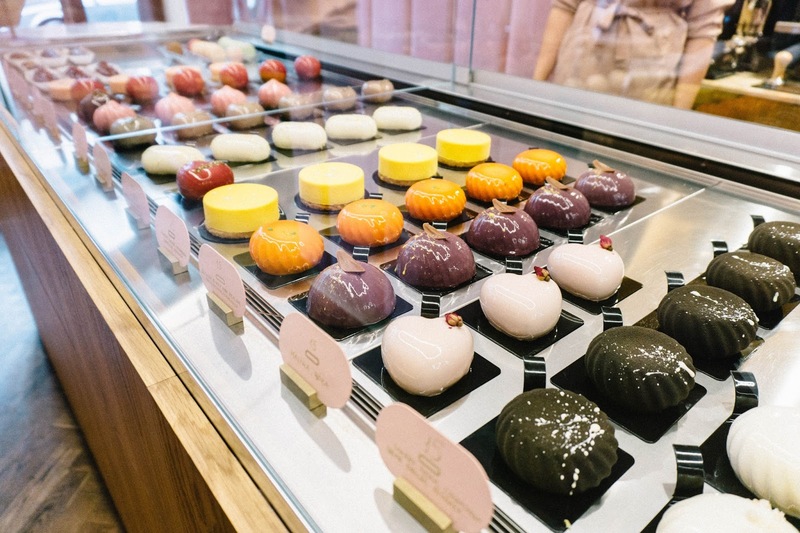 One of my favourite cafés was the Nanan Patisserie, with millennial pink walls and marble tables, it was impossible not to photograph before digging into the most beautiful (and potentially the most delicious) cakes I've ever seen! 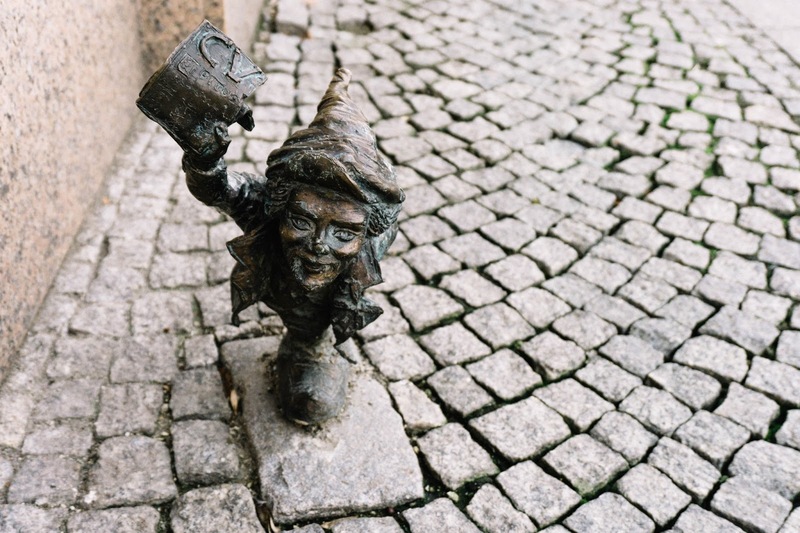 I found it easy to spend a couple of hours simply just ambling around the cobbled streets, taking photographs and enjoying the ambience of the city whilst hunting for Wrocław's whimsical locals; tiny bronze dwarves. No taller than a foot or so, you can find them hiding amongst the cobbles, perched on top of lampposts or sitting in doorways, going about their day to day business with individual cheeky personalities. 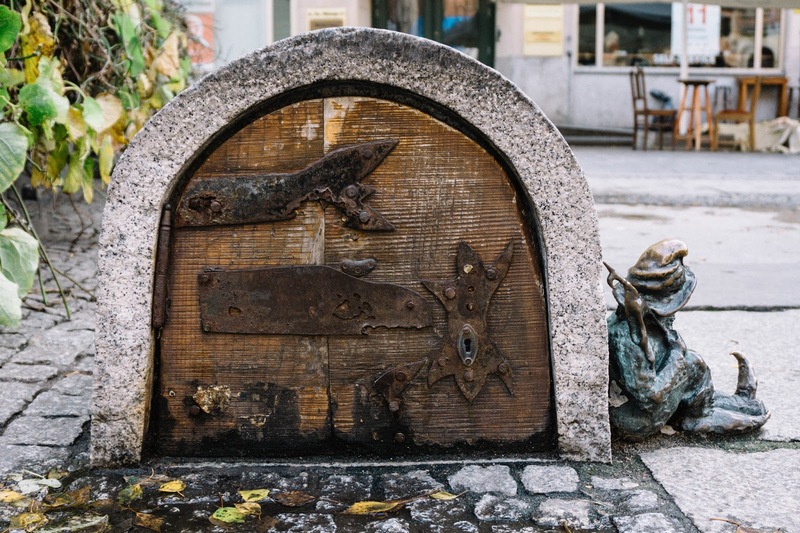 My favourite was near the bank in the Town Square, with a tiny ATM and his own Dwarf sized door, but the fire-dwarves rushing to a nearby emergency and the student with his laptop hiding outside a coffee shop were also strong contenders! I loved that in such an 'Instagram-able' city that the dwarves encouraged me to look up from my technology and try and find as many as I could in the short time I was visiting. If you wish to go on a Dwarf Hunt, you could start with this Google Map, and local shops sell maps in English as well as Polish with the homes of the hundreds of dwarves hidden around the city. Originally a form of peaceful protest whilst Poland was under communist regime in the 1980s, the gnomes were created by an anti-Soviet movement named the Orange Alternative. The gnomes were born from an idea by a local student, Waldemar 'Major' Frydych, with the movement protesting the censorship of free speech by defacing propaganda and slogans with drawings of the cheeky little gnomes. The idea grew throughout Poland, with marches supporting 'dwarves' rights' appearing alongside tiny dwarf paintings in other cities. Not only did the Orange Alternative provide fun and lightheartedness throughout a dark and frightening time, but any arrests during their protests hit the media and made the authorities look ridiculous. The movement reached a peak on the 1st June 1988, where 10,000 protesters wore orange pointed hats in downtown Wrocław to peacefully protest "Freedom for the dwarves!". The day is now known as the Revolution of Dwarves and was seen as a sign to the authorities that communism was unravelling, and that art could be an effective way towards social and personal freedom. In 2001 the first bronze dwarf (Papa Dwarf) appeared as a commemoration towards the anti-communist rebellion on Świdnicka street, where members of the Orange Alternative would gather, and ever since smaller, more mischevious dwarves have followed and hidden all over the city! Overall, the time I spent exploring just wasn't long enough; there were more dwarves to find, local beer to try and food to taste. Poland, in general, is one of the most inexpensive places in Europe that I've visited, and Wrocław is definitely still on my list of Eastern European cities to revisit. 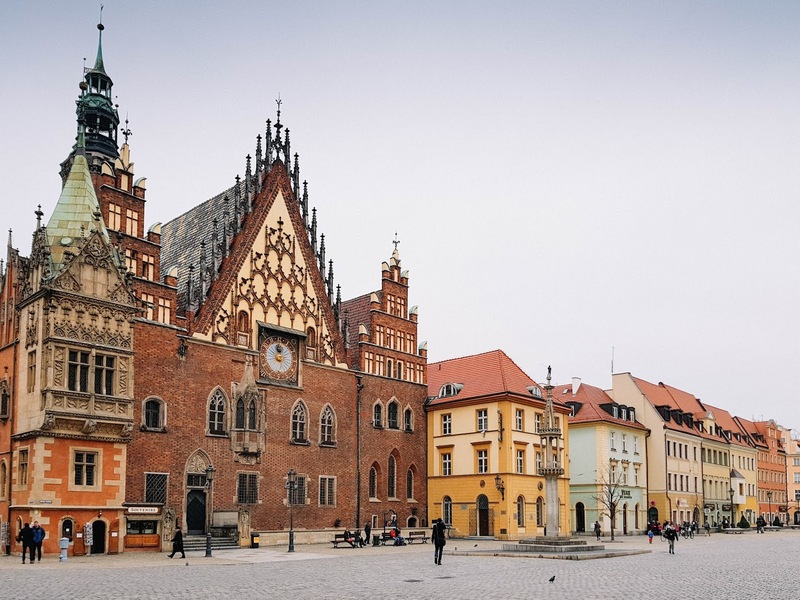 I found the city to be friendly and colourful even on a dreary day, and with the hotels and restaurants being largely inexpensive Wrocław is definitely a perfect weekend away for when you need a little happiness and silliness in your life! Cześć Wrocław, until next time!